The Review: Werewolf, Fedora’s Redeemer? 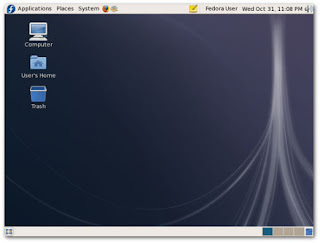 Fedora, previously called Fedora Core is a multi-purpose, RPM-based Linux distribution, developed by the community-supported Fedora Project and sponsored by Red Hat. Fedora's main aim is to not only contain free and open source software, but also to be on the leading edge of such technologies. In addition, its developers prefer to make upstream changes instead of applying fixes specifically for Fedora --this guarantees that updates are available to all Linux distributions. 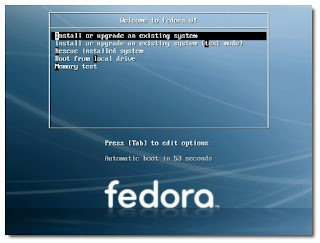 Fedora's mission statement is: "Fedora is about the rapid progress of Free and Open Source software." 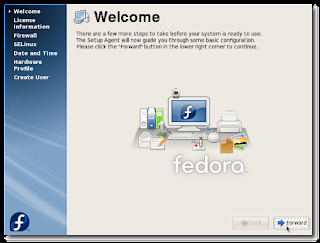 The latest distribution release of Fedora is Fedora 8 (codenamed ‘Werewolf’), which was released on November 8, 2007. Once upon a time, :) I got the DVD version of Fedora-8-i386 from HERE. To those who don’t want to download the huge 3,369MB DVD installer, they can get the Live CD version instead. Fedora also comes in different flavours or Spins as they call it. They are special installable disk images with custom package sets intended for particular users. There’s Games Spin, KDE Live Spin, Developer Spin and more. Visit spins.fedoraproject.org to download. The good old Anaconda installer took care of the installation. What I like about Anaconda is the many options it provided to cater the more advanced users. But, non-advanced users need not worry as the process is very straightforward and the options are very easy to understand. After I have properly configured the time zone, network settings, and root password, I was taken to the package selection. I chose to install the default packages and waited for about 20 minutes for the installation to finish. On the first boot, I was given an option to configure SELinux (Security-Enhanced Linux), Firewall, date and time, and users. The installation was overall successful and smooth sailing. There were no hardware compatibility problems that I have encountered as my audio, video, Ethernet, and USB among others were all correctly configured and were working fine after the installation process. Overall, Fedora 8 is aesthetically pleasing. The Grub menu image, boot-splash image, log-in menu and splash image is a huge improvement over the previous version in terms of looks. The default desktop of Fedora 8 is Gnome and its new theme called ‘Nodoka’ is very polished and professional looking. The default wallpaper has a unique feature that changes color depending on the time of day. It is actually an implementation of a simple slideshow which uses three different wallpapers. 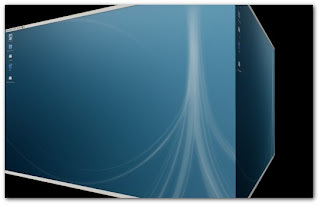 For those who want some extra special desktop bling, Compiz Fusion is installed by default. Though it is not enabled, you are just a few clicks away to desktop insanity provided you have a capable graphics card. 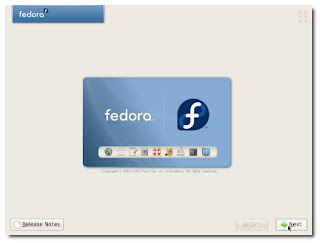 Fedora 8 is fully loaded with essential software applications out-of-the-box. 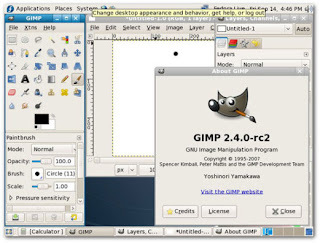 To name some, there’s GIMP (2.4.0), OpenOffice.org (2.3.0), Evolution (2.12.1), Firefox (2.0.0.8), and Pidgin (2.2.2), Python (2.5.1), perl (5.10.0), samba (3.0.28), and much more. There are also additional packages available from the vast repositories of Fedora. Since Fedora does not include proprietary drivers for ideological reasons, I needed to install Livna RPM to get my ATI graphics card fully working. Those who want to play DVD’s and MP3’s need not worry because there’s a handy new tool called Codec Buddy that will help get the necessary codecs for you. 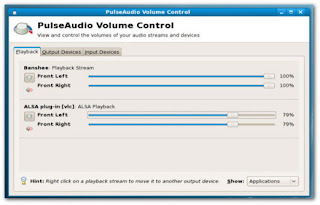 The killer feature of Fedora 8 is probably the Pulse Audio system. All other Linux distributions should adopt this feature because it works just great. Pulse audio sound server gave me the ability to configure my audio system like never before in a Linux OS. Yum takes care of package management for Fedora. Like any other package manager, it handles installation and un-installation of software packages. However, I find Yum a bit buggy in F8. I got errors when I try to add or remove software. To those who are also experiencing this kind of problem, you can easily fix it by killing the yum/Puplet package manager processes inside the Gnome System Monitor. Those few minor hiccups can’t prevent me from saying that Fedora 8 is pretty much stable. I said minor because I was able to find remedy and kept the system going. After several days already of using Fedora 8, I can honestly express that everything is running smoothly now. I can’t also deny that its added security features like SELinux and Firewall makes my desktop even more secure and steady. Fedora 8 is a distribution to beat. Its great features and much improved stability simply rocks. It may not be a distro that I can say is ideal for Linux newbies, but it is almost there. So, to answer the question: Is Werewolf Fedora’s Redeemer? In my own opinion, it is. It somehow revived Fedora from its previous blunders. I’m sure Fedora faithfuls will never be tempted to look at Ubuntu again. Can Werewolf help put Fedora back on top? As of the moment, Fedora is still #4 in Distrowatch ranking. If Werewolf will fail to do so, at least it will serve as a catalyst for future releases to take Fedora back to where it truly belongs. I think the only direction Fedora is going right now is certainly upward. Distrowatch stats are irrelevant outside Distrowatch. Yes Distowatch stats have been demostrated to be abused by web-bots. Look elsewhere if you want rankings. Where is elsewhere? Distrowatch is the only website that measures distro popularity. Though may not be 100% accurate,almost all Linuxers have huge respect for the ranking system. I agree with Buff. Distrowatch is the only authority when it comes to ranking distros. Great review BTW. Yeah right. Distrowatch doesn't even care about Fedora and tends to favor that crappy Ubuntu more. Distrowatch admits that their ranking system is not 100% accurate so we shouldn't rely on it. 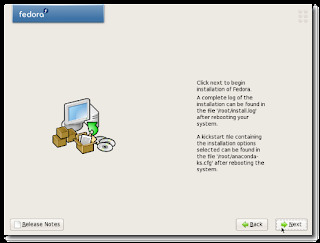 However,it has been a tradition for Linux users to refer to distrowatch when looking for the hottest existing distribution. I believe we shouldn't break a tradition or shall I call it an institution like distrowatch. I couldn't agree more. Nice review, but it's unfortunate for me that Fedora 8 doesn't work well on my hardware. Very nice review! I must disagree, however. I am a long time user of Redhat hosted linux back to before Fedora (or Fedora Core) existed. Fedora 8 has made me reconsider my longstanding use of Fedora. I have never had so much trouble installing an OS... ever. After booting off of the internal CD/DVD drive, the installer failed to recognize the DVD drive (IDE). Not only is this something Fedora Core 6 did out of the box with the same hardware and no configuration, but I had just booted from that drive! I had to boot from the internal drive, and go get an old USB external DVD drive to do the install. After the install, my VNC sessions have crazy key mapping issues that require manual re-mapping. Even after getting all patches and updates, this OS is still not ready for prime time. And... the internal DVD drive is still not recognized by the OS. I reverted back to a previous version. I didn't expect to go backwards in compatibility.... oh well... I hear Ubuntu is becoming popular.